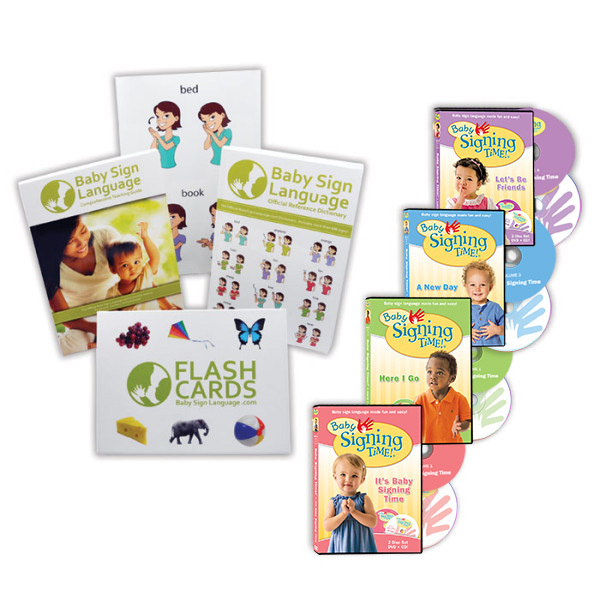 Learn Baby Sign Language in just seven days! Get our Baby Sign Language Class (reg. $49.95) FREE for a limited time. 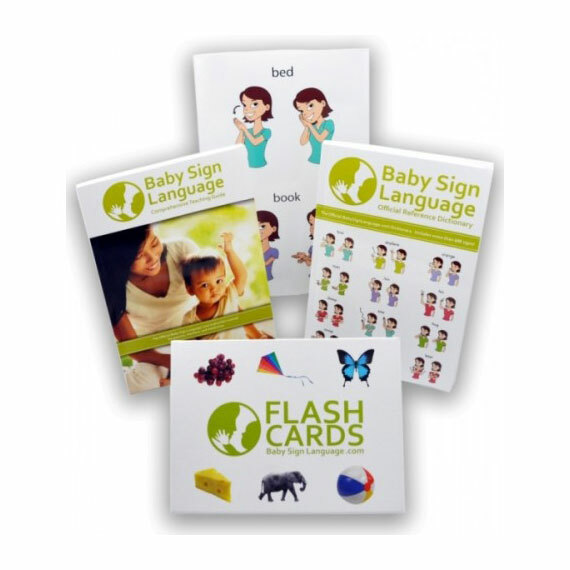 Where should we send your FREE Baby Sign Language course? Once you sign up you will receive a 15-minute Baby Sign Language lesson directly in your inbox. We will send you new lessons every few days. These lessons will cover everything from the basics to more advanced topics such as combining signs. The lessons build on each other, so by the end of the week you will be ready to start teaching your own baby. The first intensive session will cover the basics of teaching your baby to sign. You will also learn your first ten signs! Discover why children in deaf families communicate a year earlier than children in hearing families, and how this led to the discovery of Baby Sign Language. Learn the award-winning F.R.E.E. method of baby sign language instruction. Incorporate Fun, Repetition, Encouragement, and Expansion into your signing to get your baby motivated to sign. This class shows you how to integrate signing into your daily routines to ensure that signing becomes a natural part of your day. Learn how your baby’s signing skills develop as your baby progresses from recognition to imitation to understanding. Identify when to start initiation and combination signing. We discuss how long it usually takes babies to begin signing, and the best ages to start teaching baby sign language. Get family, friends, and caregivers involved in baby sign language. Involving others in the teaching experience makes the learning process more enjoyable and helps baby learn even faster. Show older siblings how to teach their baby brother or sister, giving them a role to play in their sibling’s development. Teach baby how to combine signs to create more complex phrases such as eat apple. Unleash your baby’s creativity and let her share her thoughts by combining the words in her vocabulary. Ease toddler frustration using Baby Sign Language to help toddlers make choices and start to exercise control over their environment. Transition from signing to verbalizing as your baby starts to talk. Transfer you child’s signing vocabulary to words. To get this course completely free, just enter your name and email address in the box below. 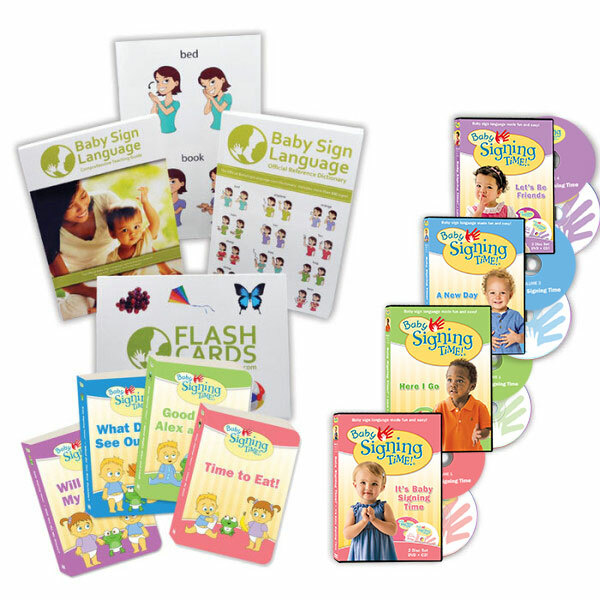 Get access to your FREE Baby Sign Language class now! We have helped more than 1.5 million families in over 200 countries learn to sign. Check out some of our happy readers. Take the FREE Baby Sign Language course and join the fun! Do you have an okc baby sign language class? I don’t but I encourage you to get started either using our free printables or by securing the standard kit with teaching guide. 90% of moms that sign are self taught. when should i start signing with my baby? He just turned 4 months old. Start at about six months. For now you can begin modeling the signs and showing him or her the images from our flash card set. I would like to know about the free sign language classes you guys have. Please contact me at [email protected] for more details. ADMIN: It is best to first introduce baby to a concrete concept such as milk. Once baby knows milk and uses the sign you want to watch for signs that indicate hunger and model the sign for baby as you prepare to feed him. Always give emphasis by using facial expressions as well as words. Hello there, I love your website, and have been learning so much from here. I’m trying to teach my baby girl to “ask permission” or just to “ask” before she does something or take something from others. Is there such a sign language for this? Please let me know. Thank you very much. Ask starts with hand in a fist with your index finger raised. You make the sign by pointing your finger down at the person you are asking. You can also use please, which is like rubbing your tummy.